Kawhi Leonard reportedly no longer wants to play for the San Antonio Spurs after the two sides had a falling-out over injury management. According to one source, the Spurs may have made a misstep when they made public that they had medically cleared Leonard to play, but he was still sitting out. One report described the relationship as being “irreparable,” with Leonard no longer trusting the Spurs. Kawhi Leonard reportedly no longer wants to play for the San Antonio Spurs and now appears to be on the trade market. 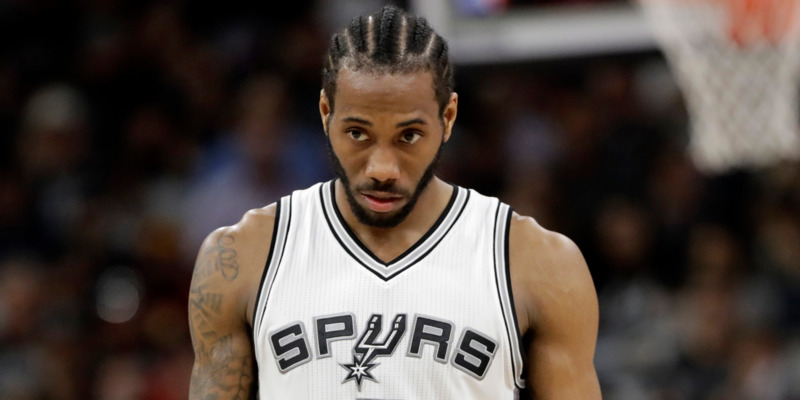 Leonard’s fallout with the Spurs has been a year-long saga, stemming from a disagreement over how to handle an injury to his quad. Leonard eventually sought a second opinion and began working with his advisors and doctors, outside of the Spurs’ counsel. The relationship between Leonard and the Spurs seemed to fracture slowly. ESPN reported in May that it began last summer when Leonard’s quad injury lingered and he wanted to pursue new rehab methods. Things seemed to get worse, as Leonard played just nine games, then sat out, feeling he wasn’t ready to play, despite the Spurs clearing him. The same source said it might have been wise for the medical staff to tell Leonard he wasn’t ready if he said he wasn’t feeling ready. One source familiar with the Spurs said the chasm between the Spurs and Leonard’s medical opinions was unusual. This source said Gregg Popovich has historically been extra cautious with injuries, sometimes making players beg him to play to show they’re truly ready to get back on the court. Now the Spurs may be backed into a corner. Leonard can become a free agent in 2019, meaning the Spurs are on the clock to get something for him before he has the chance to walk away. Their options may be limited, however, as teams may not trade for him without assurances that he’ll stay with them beyond 2019.